The Sanskrit University i.e. Uttarakhand Sanskrit University is a state university of Uttarakhand established in the year 2005. Main campus of the University is situated in Haridwar, Uttarakhand. This university is affiliated with the UGC and NCTE. Nationality: All Indian nationals would be considered eligible to apply for the examination and take admission for the B.Ed. Shiksha Shashtri Course. Educational Qualification: Bachelor level Sanskrit degree (based on the 10+2+3 system) or Master level Sanskrit Degree (M.A.). Minimum marks- 50% mark. Age Criteria: Candidate must be minimum 20 years old as on 15th June 2019. Candidates not fulfilling this criterion will not be considered for admission. 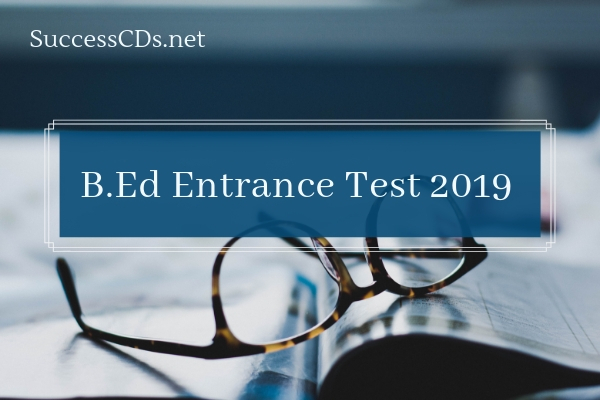 For admission to Shiksha Shastri class, candidates will have to mandatorily appear for the written entrance exam called Pre-Shiksha Shastri Test (PSST). Aspirants will have to apply in offline mode to appear for this exam. After the exam, the result will be announced by the end of May 2018. And candidates will appear for the counselling. They will indicate their desired college and report to the college for document verification. Uttarakhand Sanskrit University B.Ed. Application Form 2019 application form will be available on the official website https://usvv.ac.in/ of the Uttrakhand University. Candidates will be required to ascertain the application form Uttarakhand Sanskrit University. Particulars must be filled as instructed along with pasting photograph in a specified format. Then the complete forms along with attached documents should be sent to the officials to the prescribed address. Since there is an official notification regarding the amount of non-refundable fee that the candidates will be required to pay to complete their application forms of Uttarakhand Sanskrit University B.Ed. forms. Candidates have to submit the application fee along with the hard copy of application form.